Arabian Nigths – Orocrea Jewerly s.n.c. 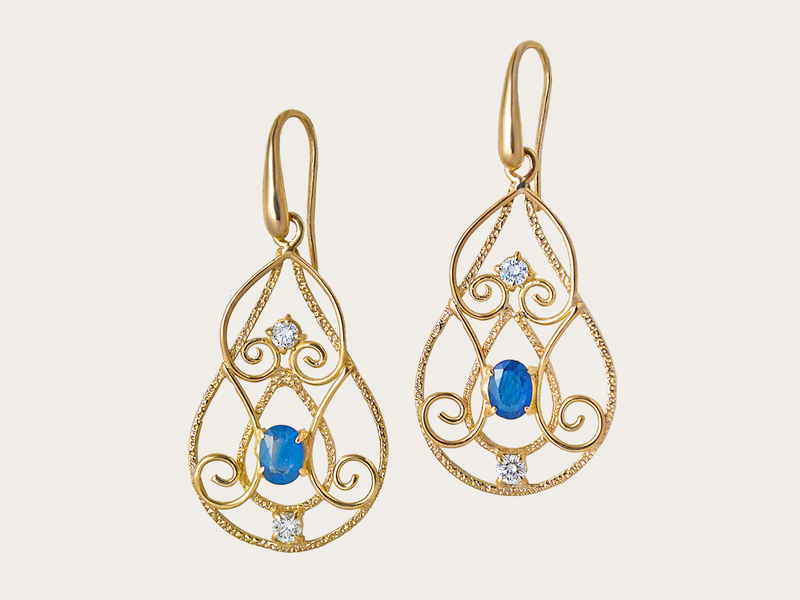 The encounter of art with the ancient science of Selfica created these drop shaped leaning earrings. The style is unmistabably islamic and baroque. The light blue of the sapphires and the brightness of the diamonds stands out on the yellow gold 18 kt. Every spiral recalls synchronicity and positive events.